William Fawkes, a controversial detective known as The Wolf, has just been reinstated to his post after months of psychological assessment following allegations of a shocking assault. A veteran of the force, Fawkes thinks he's seen it all. That is, until his former partner and friend, Detective Emily Baxter, calls him to a crime scene and leads him to a career-defining cadaver: the dismembered parts of six victims sewn together like a puppet - a corpse that becomes known in the press as the "ragdoll." Fawkes is tasked with identifying the six victims, but that gets dicey when his reporter ex-wife anonymously receives photographs from the crime scene, along with a list of six names, and the dates on which the Ragdoll Killer plans to murder them. The final name on the list is Fawkes. Baxter and her trainee partner, Alex Edmunds, hone in on figuring out what links the victims together before the killer strikes again. But for Fawkes, seeing his name on the list sparks a dark memory, and he fears that the catalyst for these killings has more to do with him - and his past - than anyone realises. 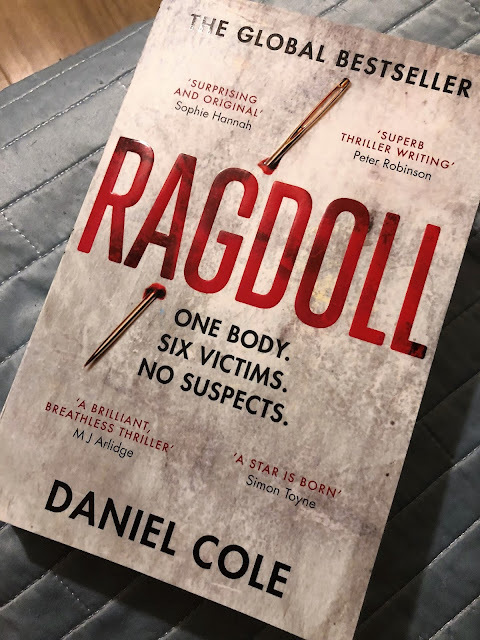 Ragdoll, by Daniel Cole, seemed like the perfect thriller from it's blurb. Creepy, gory, with a deeply complex Detective leading the case. And it wasn't all bad, but it wasn't all good either. Ragdoll is one of those books that I can't exactly pinpoint where it went wrong. But it went wrong somewhere. Because it didn't fully hold my attention until the very end, and I found it a chore to get through. Yet I've picked up Daniel Cole's second book in the series, Hangman, so there must have been something in Ragdoll that made me want to read Cole's next book. It was definitely creepy, gory and with a hugely unexpected twist at the end. The characters were well developed and easy to invest in, feel for. 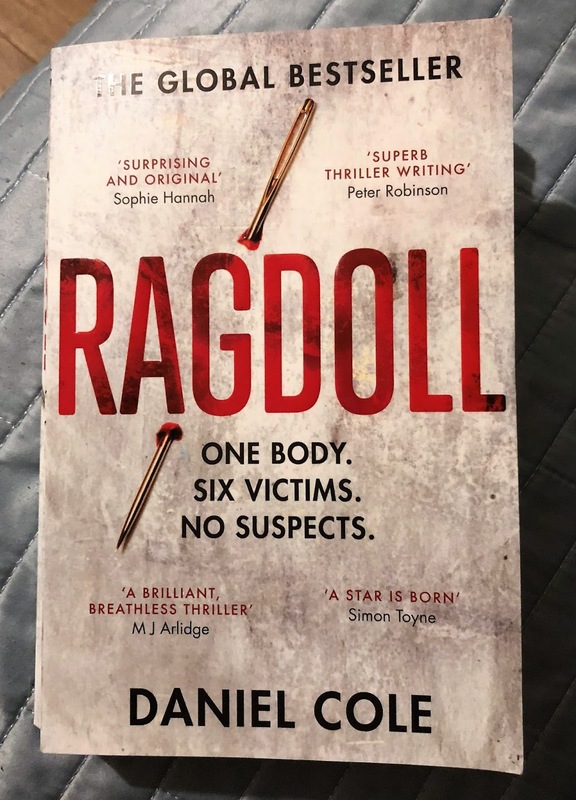 I certainly did enjoy Ragdoll, and would recommend it to anyone looking for an crime fiction/thriller novel. Just don't expect too much from it, it's not a five star read, but it's still well worth reading. Love the name of this! I hate books that are a chore to read though. I just put them down if it gets to that point!